Nothing is perfect in this world and finding a perfect bundle without compromising on your needs is hard. Telecom industry is growing fast as new telecom companies are entering in the industry which makes the competition hard. Every network provider wants to be at the top, and that is why they try to give best quality services and offers to keep their current customers and to attract new ones. Numerous packages and bundles often left us to confuse, and we can’t decide what to choose. People want to have a perfect package through which they can avail all services. With Zong perfect package you will get unlimited bundles, unlimited texts, and data Mbs at just Rs 12 + tax. These charges are applicable for 24 hrs. No additional or extra costs are included. Whether you want to make unlimited calls or more interested in sending messages to your friends or want unlimited web surfing, then activate Zong perfect package now. Dial *118*2# from your Zong connection and you can also send blank or “Sub” to 7171. Wait until you receive the confirmation message. You will be able to call any Zong numbers with unlimited Zong to Zong minutes. If you love to chat with friends, then Zong is giving you 50 SMS to all local networks. Want to stay online on social or want to surf the web then you will be provided with 40 Mbs of mobile data. Rs 0.15 + tax as call setup charges will apply per call. The offer will auto-renew at midnight on sufficient balance. Default rates will apply to the consumption of allocated resources or package expiration. Subscription charges will be deducted on a daily basis. Provided Mbs are for both 2G and 4G LTE users. FED tax according to your region and Withholding tax on the bill, recharge, and other usages will apply. The offer will automatically expire at midnight if you don’t have sufficient balance. If you want to deactivate the Zong Perfect Package before completion of 24 hours, just type “Unsub” and send it to 7171. Zong perfect package is giving you maximum services at minimal rates. 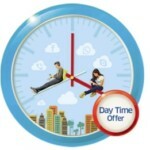 Simple activate the excellent offer and start using unlimited minutes, message and data Mbs. Make your day perfect by enabling the perfect bundle.